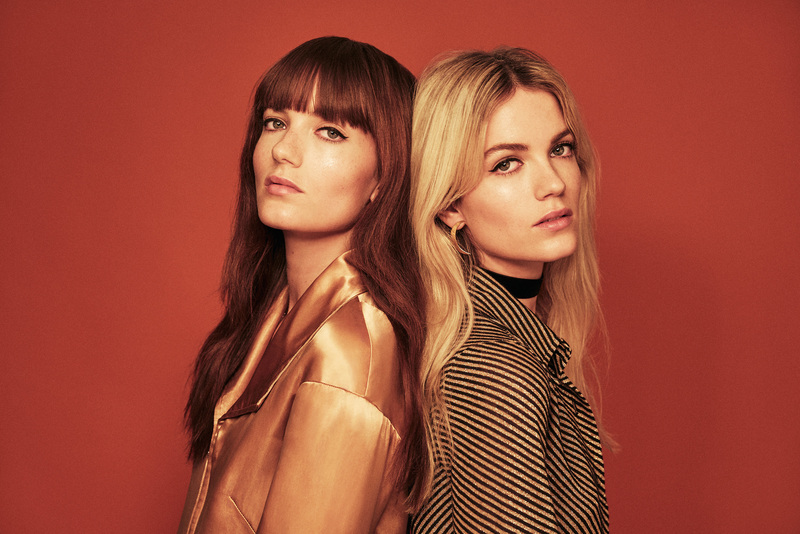 Right, so let’s get this out there before we even clap our eyes around the epic eight-plus minute music video for Say Lou Lou’s latest single ‘Nothing But A Heartbeat’… we love the song. Completely love it. It’s one of our pop highlights of 2015 thus far and is currently odds on favourite to be part of our top ten at year’s end. So chances are that Miranda and Elektra are really going to have to have ballsed things up big time for us not to love it. And, we’re thankful to say, they haven’t. Quite the opposite. With the creative mind of director Joanna Nordahl, the ladies have dropped an ethereal, often haunting piece of film that follows a dream-like chase sequence from a run-down house to an empty parking garage to the forest and to the edge of a rooftop before both jump off, falling deeper into their journey. It’s truly superb. One of the year’s best songs now also comes with one of the year’s best pop videos.